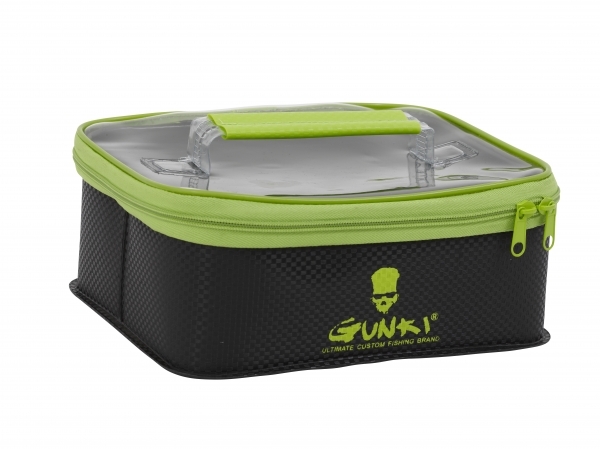 Gunki Safe Bag is a modular storage system, fully waterproof and a tough PVC construction with a transparent see through PVC zip in lids which let you see in an instant what is inside each bag. The modular storage means you can fit a small safe bag inside the medium and then the medium inside the large Gunki Safe Bag for easy storage when empty. Also the Gunki Safe Bag system is designed to fit inside the larger Gunki Safe Bag system 40 and 55 models and the Hard Safe Bag 36 model.